Camtasia Studio is a strong and powerful tool for you to create amazing and interesting videos with it. 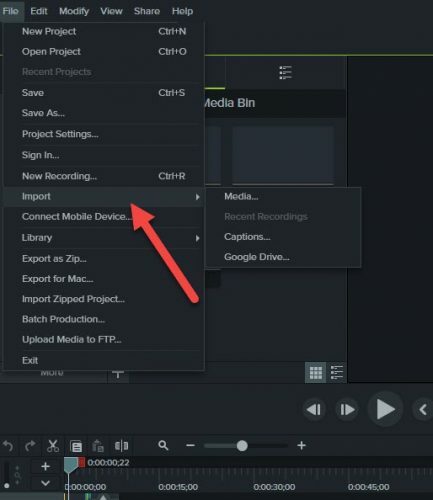 If you want to record your screen for any tutorial or any assignment or project, use Camtasia Studio and make a beautiful screen recording video. Its editing tool increases the presentation of your video. 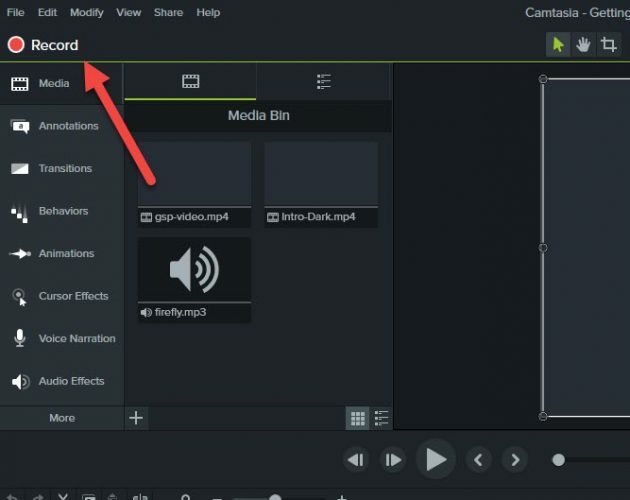 You can import any video from external sources and edit it into Camtasia Studio to make it more attractive and meaningful by adding filters and annotations. 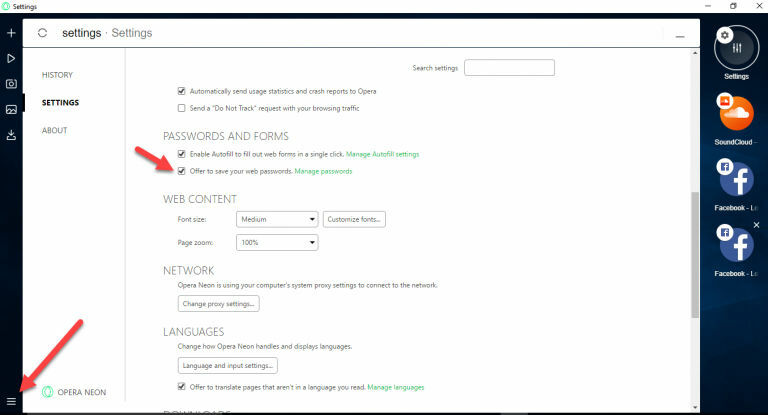 In this tutorial, you may find the feature review of Camtasia Studio and Offline Installer Link for your Windows and Mac OS so that you can install it offline. Camtasia Studio is a very effective tool and provides you the recording feature, so you can record your screen for any good purpose and through your recorded video, others can get the benefit. Then the recorded video can be edited within the tool with different effects, and filters. If you want to highlight something, you can do with highlighter tool. Add text in your video to make it more expressive for users. If you want to edit any of your video which isn’t created by Camtasia Studio, you can do it. Just import your video into the tool. And apply any filters and effects from the tool to make your video cool and impressive. You can add different audio tracks in your video to give a background sound or music for your video. After completing your video, you can share it to different websites from the Camtasia Studio share option so that your video gets views. You can play your video with its Built-In player, and while creating a video, you can play it at every step to see how your video is looking. You can create each slide with different transition and animations from the given effects to make your video pretty and effective. Your voice can be narrated by the tool and can integrate with your video that is quite easy for users to understand what you want to do while recording the video. And then add audio effects to your video. 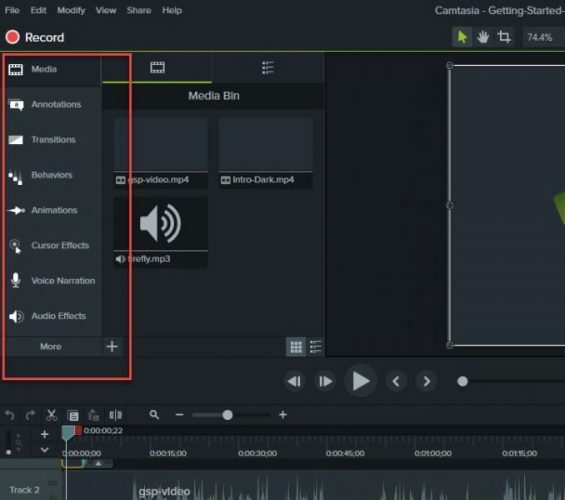 When you install the tool and do not know how to use it, do not worry, the Camtasia Studio will provide you a help tour video that walks through all the major features and how to use them for your convenience.